THIS ARTICLE IS COPYRIGHTED FOR NIGELLA--SATIVA ONLY. ALL RIGHTS RESERVED. THIS ARTICLE MAY CONTAIN AFFILIATE LINKS. PLEASE READ MY PRIVACY DISCLOSURE HERE. Nigella sativa is effective against blood cancer, cervical cancer, breast cancer, pancreatic cancer, colon cancer, hepatic cancer, renal cancer etc. Very recent research evidence found a promising inhibitory relationship between Nigella sativa and lung cancer. The burden of cancer incidence is increasing and lung cancer is one of the leading cause of cancer-related mortality all over the world. Almost 1.6 million lung cancer patients die every year and 1.8 new cases are identified. Nigella sativa and lung cancer inhibitory relationship can decrease the estimated lung cancer incidence and related mortality rate. Research on Nigella sativa is continuing to provide intriguing facts, and new therapeutic benefits of this herbal ingredient are coming up every time. 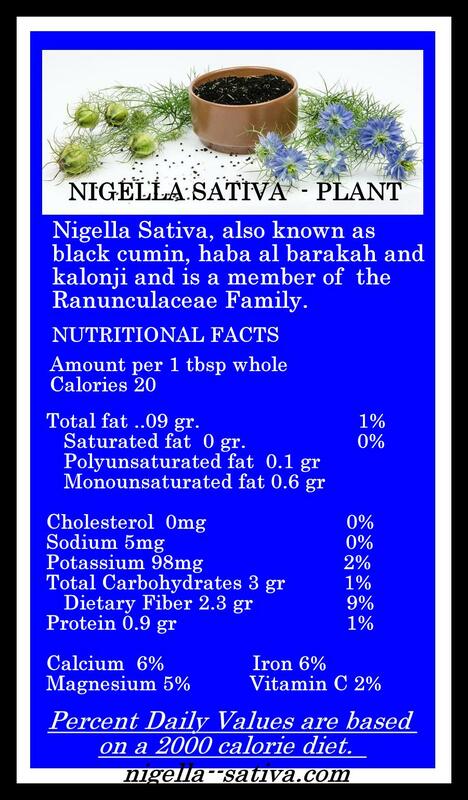 Some of the well established medicinal properties of Nigella sativa include cholesterol-lowering property, immunity boosting, and asthma preventive effect etc. Around two to three decades ago, the anticancer property of Nigella sativa was discovered through significant research findings. The cytotoxic effect of Nigella sativa has been established through preclinical, in-vitro and in-vivo researches on human lung cancer cell line. Following are the different research reports support the Nigella sativa and lung cancer relationship. • An animal research study has been conducted in BDF1 mice to evaluate the antitumor activity of Nigella sativa against Lewis Lung Carcinoma. The experimental animals were treated with methylnitrosourea, which increases oxidative stress, inflammatory response, and carcinogenesis in the lung. The study result reported that Nigella sativa has a protective effect against methylnitrosourea induced excessive oxidative stress, inflammation, and carcinogenesis in the lung tissue. However, this study result did not found any cytotoxic effect of Nigella sativa against lung carcinoma and larynx epidermoid carcinoma cells. Thus, it indicates a protective effect of Nigella sativa on lung cancer. • A research report published in 2014, has also confirmed that Nigella sativa possess cytotoxic effect against human lung cancer cell line A-549. According to this published report, Nigella sativa seed extract (NSE) and Nigella sativa oil, both own significant cytotoxic effect against lung cancer. However, Nigella sativa oil (NSO) has more potential cytotoxic effect against lung cancer cell than Nigella sativa seed extract. Even in very low concentration, NSO is more effective to inhibit metastatic growth and show anti-tumor activity against lung cancer. 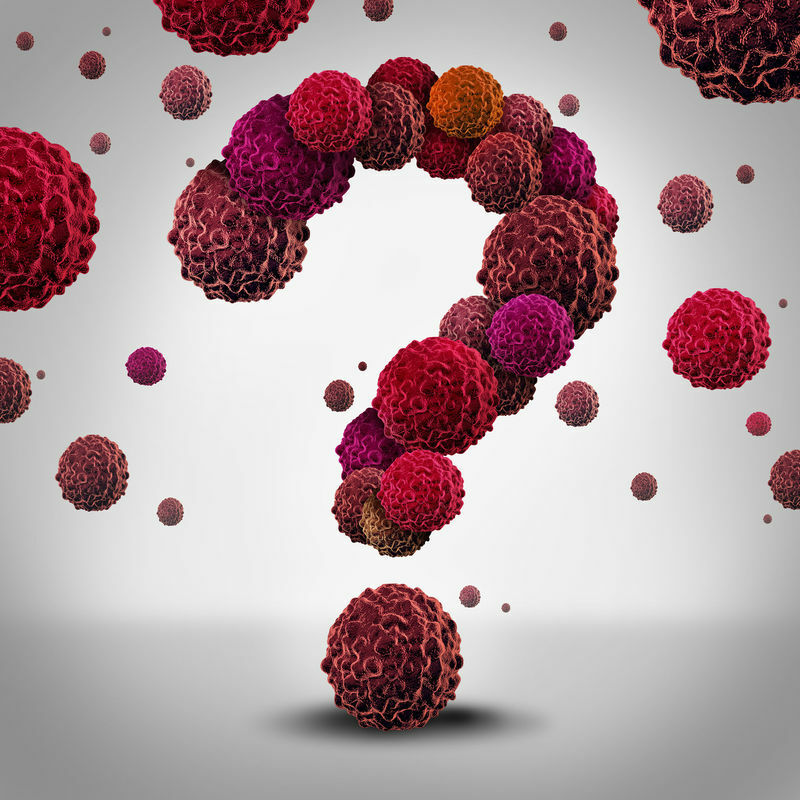 In this research study, researchers evaluated the lung cancer cell viability. Cigarette smoking and exposure to environmental toxic gases increase the oxidative stress in the lungs and is a primary cause of the lung cancer. In addition, the antioxidant molecular level in the body also decreases in advanced stage lung cancer. Nigella sativa imparts different actions to provide an anticancer effect against the development of lung cancer and its progression. The antioxidant property of Nigella sativa is already established. The essential oils present in Nigella sativa contains several bioactive phytochemicals, including thymoquinone, carvacrol, 4-terpineol, and t-anethole. These active constituents have free radical scavenging properties. Therefore, the antioxidant property of Nigella sativa reduce the risk of lung cancer development. Imbalance of certain enzymatic homeostasis influences metastatic tumor formation in the lungs. Glutathione and related enzymes play a major role in the different cellular process and any misbalance of this enzymatic functioning can influence cancer progression by increasing oxidative stress. 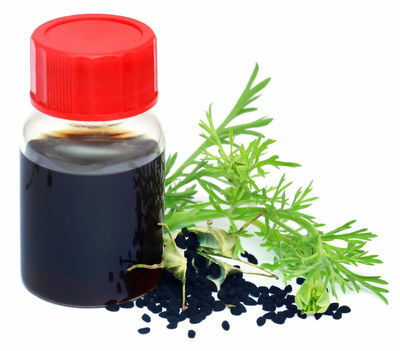 Nigella sativa oil administration can help to maintain the homeostasis between glutathione and inter-related enzymatic action and promote narcosis of the lung tumor cells. Thus, Nigella sativa provides the cytotoxic effect. Nigella sativa can regulate different cellular processes through its various anti-cancer effects and provide a positive effect against cancer cell growth and progression. Anti-proliferative effect: Nigella sativa can inhibit tumor cell growth. Cell cycle arrest property of Nigella sativa halts the progression of the normal cell division process by interacting with G1 or G2 or S or M phase of the cell cycle. Nigella sativa promotes cancer cell death by inducing apoptosis. Administration of Nigella sativa enhances reactive oxygen species (ROS) level within the cancerous cells and helps in the early destruction of cancer cells. Nigella sativa discontinues development of any new blood vessels in the cancerous tissue and therefore blocks blood supply. This anti-angiogenesis effect of Nigella sativa causes shrinkage of the cancerous cell growth. The anticancer effect of Nigella sativa is obtained by combining this herbal formulation with raw honey. Cigarette smokers or those who have a high risk to develop lung cancer can administer thrice a day a mixture of 1 teaspoon of Nigella sativa oil and 1 teaspoon of raw honey. If anyone prefers Nigella sativa seeds, instead of Nigella sativa oil, then some extra processing is required. Heat a pan and add required amount of Nigella sativa seeds in low flame. Occasionally, stir until the aroma evaporates and then after cooling, crush in motor and pastel, and add to the preparation. This is the one I use because it is the best one to meet all these criterias. I met the owner and admin of this company through fate. They wanted to purchase my black seeds when I had a store in Jordan and I was referred to them by Cancertutor (Webster Kherr). Black cumin seed oil is a food product that contains concentrated compounds that have been proven to reverse disease and improve health with more than 1000 peer reviews. As with anything you buy or consume, you must make sure the black seed oil is of the highest quality and free from harmful additives. Even some of the best brands I have recommended in the past do not meet these standards and come in a standard plastic bottle like Starwest Botanicals, Mountain Rose Herbs and Even some on my top 2018 Black Cumin List. Black cumin seed oil is an amazing food that has been used for thousands of years for its ability to support health naturally. It is a "Cure for all Disease" as promised by Prophet Mohammad but you must take it properly. Use common sense. 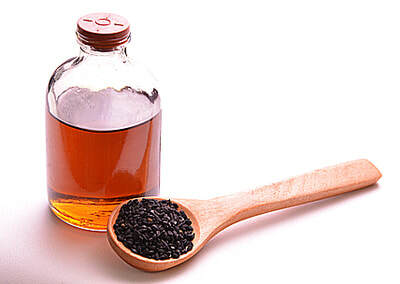 Black seed oil is a food, but a nutritionally potent one. 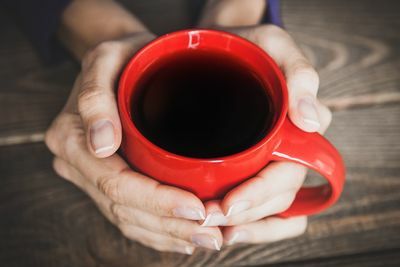 It can be toxic when taken more than 25 grams a day and so limit your consumption to 1 tablespoon, max. But for general well being and immunity, you need only 1 teaspoon a day. **Anyone with a medical condition or who is pregnant/nursing should check with a doctor before using this or any substance. Most of my articles on this website come with dosage instructions. Please follow the recommended amounts. Buy my suggested black seed oil here. You can find me on Youtube for questions on any subject.